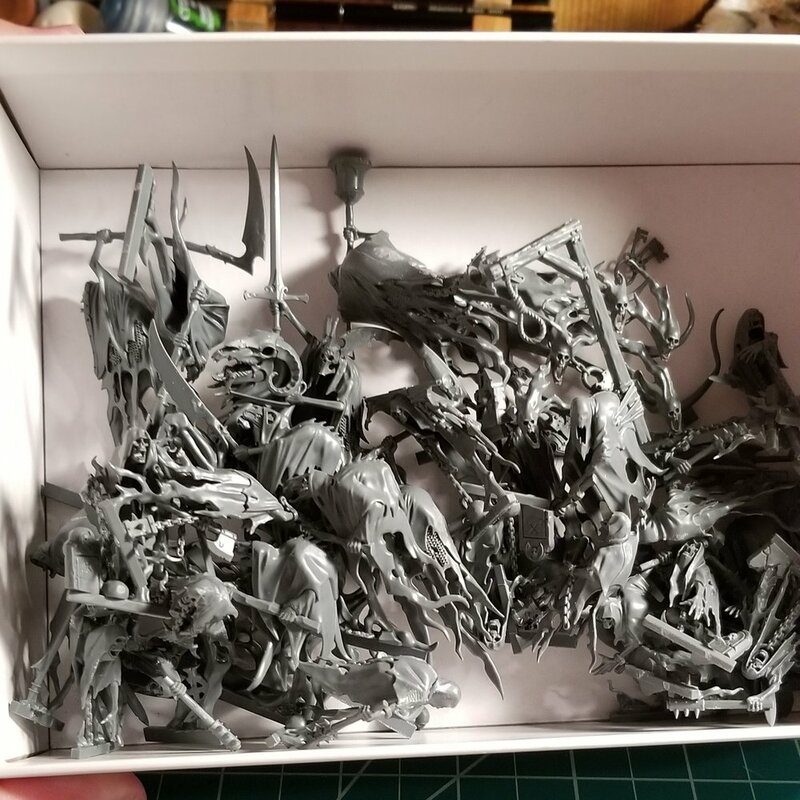 I assembled all of the Nighthaunt models from the Soul Wars box last night, and they were REALLY easy to put together. I like Games Workshops new push-to-fit models, and with just a drop of glue in the holes, the suckers went together really fast. The downside? After putting them all together, I realized that I needed some different models to make a more playable 1000 point list (which is what I am going for). So, I picked up another box of Spirit Host and Bladegheists. They are heavy hitters with some pretty rad abilities. Next steps: Assemble the Spirit Hosts and Bladegheists, pop everything on their bases, and put some initial Astrogranite on there. I hope to be priming everything by Friday! New DnD Paint Set - Perfect for beginners!